The Dye DAM aka. 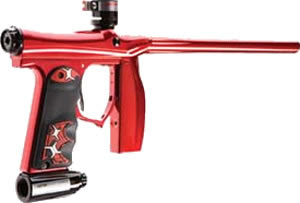 Dye Assault Matrix is a brand new paintball gun that is just hitting the market from Dye Precision. Fully loaded, the Dye DAM Assault Matrix is ready for some serious action right out of the box. Check out all 4 available Dye DAM colors & a huge list of features below. The Dye DAM Assault Matrix was built from the ground up to be the ultimate product for tactical players. We wanted to provide the industry with a stunning tactical marker that gives users the performance of a high-end tournament marker, as well as the aesthetics and features that tactical players need to thrive on the battlefield. 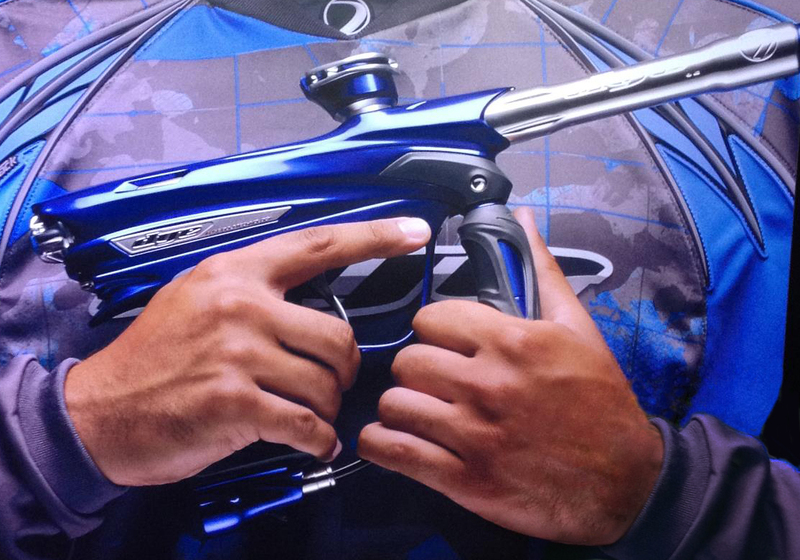 Check out the first ever picture of the Dye DM13 paintball gun. Much of the world has been wondering if the Dye DM13 would finally remove the macorline and design a hoseless operation. We can clearly see that the DM13 will have the macroline. From this small picture, you can see that Dye has disguised the bottom of the regulator and the grip. My guess is that these are two of the major changes on the Dye DM13. Check back to this post for the most updated info on the Dye Dm13. The 2013 Planet Eclipse Jersey HDE Camo Jersey is the ultimate in lightweight performance made with unique anti-snag material to reduce pack rash and prelong the life of your jersey. Customise and rep your team with prime patch placements on the chest and arms. multiple padded key impact zones on the chest, shoulders and forearms ensure that when you're in a pinch you can still come out fighting! 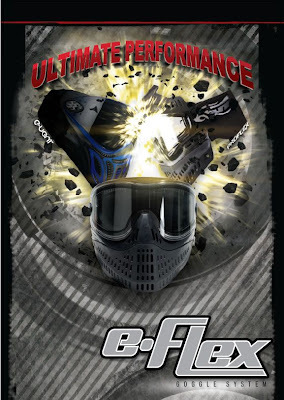 Check out all these great features the 2013 Planet Eclipse paintball jersey offers. The Virtue Spire Paintball loader has just hit the market from Virtue. The Virtue Spire is a new hopper with a retail price point from $185-$220. With a height and width of 4 inches, and an overall length of 9 inches, the Virtue Spire is on par with the Empire Prophecy Z2 and Dye Rotor. You will find the overall weight of the Virtue Spire just over 1 pound. A standard 90 Day Manufacturer warranty is included on the patent Pending Virtue Spire Paintball loader. Check out all of the features below. Here is the complete list of features for the Virtue Spire paintball Loader. Internally Sorting Spire Drive: Spire shaped drive funnels and feeds paint, while reducing stack pressure. Internal Dampening Cushion: Internal pad protects fragile paint from impacts in the front of the shell caused by running or diving and also reduces sound. Electronic Force Feed Button on the Virtue Spire Loader: Press the LED cover to manually force the Spire to spin. 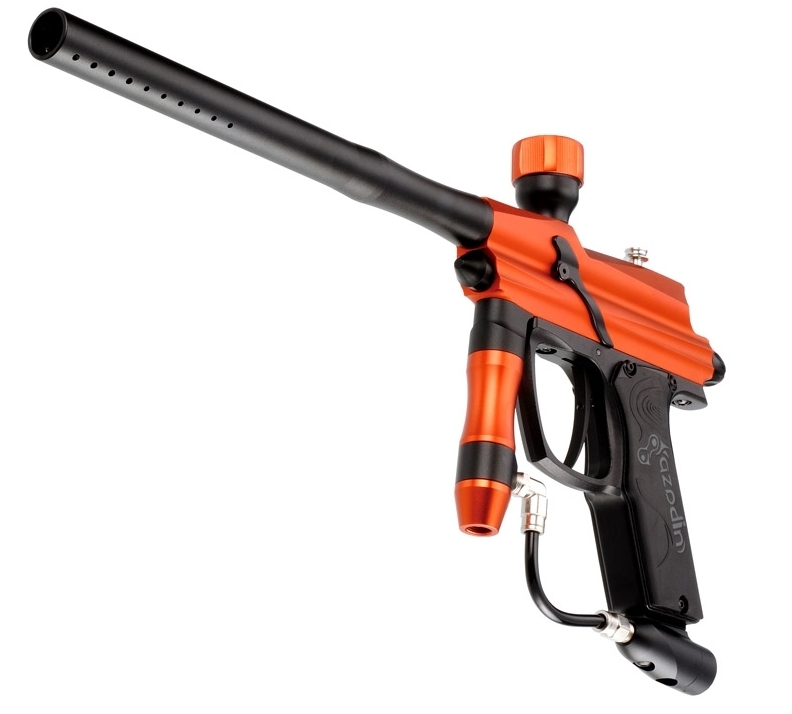 The Planet Eclipse Geo 3 paintball gun has finally leaked. Exclusive Geo 3 Pictures are out but the features and specs on the gun remain confidential. According to some of the rumors, The Eclipse Geo 3 will have an adjustable solenoid which will be the largest change differentiating the Geo 2.1 and Geo 3 guns. The Geo 3 is available in 6 different colors with some pretty interesting combinations. Scheduled to begin shipping in late June, the Eclipse Geo 3 is easily going to be one of the hottest paintball guns for the 2012 and 2013 paintball season. Check out the all new Empire E-Flex paintball mask. The Empire E-Flex uses a Empire Event Top half of the mask with a modified JT Proflex bottom. This is truly one of the biggest releases in paintball for the 2012 Season. Not only is the new Empire E-Flex a great mask but, it is compatible with all previous versions of the JT Proflex series paintball masks. That means the Empire E-Flex can use JT Spectra style Goggle Frames as well as JT Spectra style flex bottoms. This is truly one of the most advanced paintball masks to ever hit the market. Stock with a Empire E-Vents lens and Frame, the Empire E-Flex uses a good quality foam padding that is found in all of the JT spectra series goggles. With that said, the bottom of the Empire E-Flex uses a similar bottom to the old Proflex series goggles. The big difference is the profile of the bottom half of the mask. The Sides are pushed in a bit to make the Empire E-Flex paintball mask a more sleek and low profile design. The Empire E-Flex will be available soon with a retail price of $109.95. The Invert Mini paintball gun is officially the lightest full size paintball gun on the entire paintball market. If you are looking for a good quality gun that will get the job done, then check out the Invert Mini today. The Invert Mini has a ton of great features which include lever clamping feed neck, ported barrel, easy bolt out back removal and no macrolines. The removal of the external macroline hosing ensures that the Invert Mini will have less problems. Any time you have plastic hosing or tubing on the outside of a paintball gun, there are more things that can go wrong with the gun. The hoseless design on the Invert Mini ensures that happens. 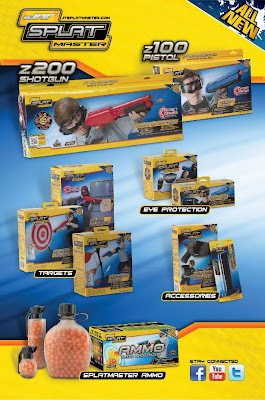 Overall, if you want a good quality and reliable paintball gun from Invert Paintball, we highly recommend you check out the full selection of Invert Mini paintball guns which start at only $325. The Azodin Blitz paintball gun is released, on the market and has been tested for quite some time. Now available in a variety of different colors, the Azodin Blitz is a great choice for paintballers looking to step up their game to the next level. Anti Chop eyes help the Azodin Blitz to never break paintballs in the chamber even when the battle heats up. A good quality 12 inch ported barrel will help give your Azodin Blitz great accuracy right out of the box. The Azodin Blitz paintball gun has a price tag in the mid $200s and is an affordable paintball gun for any beginning to intermediate paintball player.